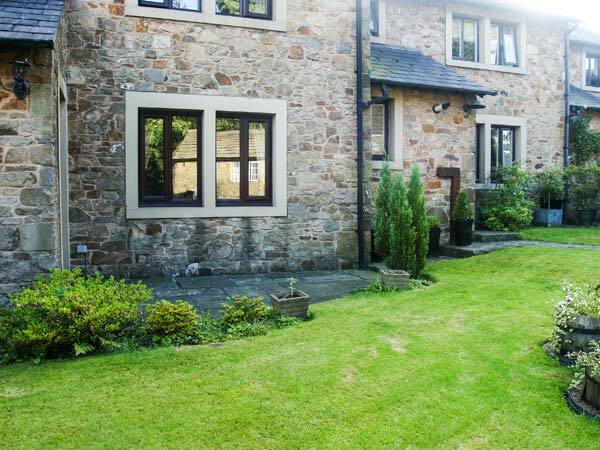 Springfield Cottage is a delightful stone-built cottage is one in a row of three stone-built cottages, situated right in the heart of the village of Chipping and can sleep six people in one double bedroom, a twin room and a single. There is a family bathroom and an additional cloakroom on the ground floor. The rest of the property contains a kitchen with breakfast table (seats 2), a dining room with sofa bed, and a sitting room with open fire. 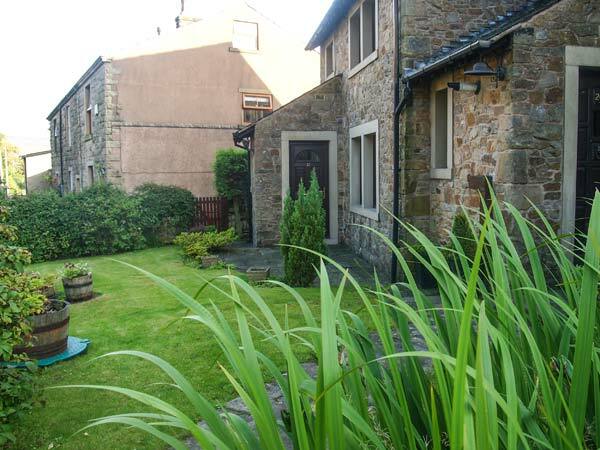 Outside is roadside parking opposite the property and a lawned garden with furniture. Springfield Cottage is an ideal property for families or friends looking to explore this Natural Area of Outstanding Beauty. Three bedrooms. 1 x double, 1 x twin, 1 x single. Bathroom with bath, separate walk in shower, basin and WC. Ground floor basin and WC. Kitchen with breakfast table (seats 2). Dining room with sofa bed. Sitting room with open fire. Oil central heating with open fire. Electric oven and hob, microwave, fridge/freezer, washing machine, TV with Freeview, DVD, CD, Wii, WiFi, selection of books, games and DVDs. Fuel, power and starter pack for open fire inc. in rent. Bed linen and towels inc. in rent. Stairgates ,Travel cot and highchair on request. Off road parking for 1 car in and additional roadside parking near cottage on first come, first served basis. Lawned garden with furniture. One well-behaved pet welcome. Sorry, no smoking. Shop and pub 2 mins walk. Note: The property benefits from access through the rear gardens of the two properties next door, but in the interest of neighbourliness you are requested not to use this route.